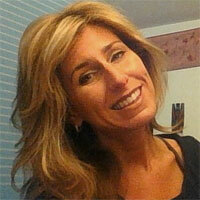 Home » Ask The Trainer Blog » Mind-Body » Creating a New Vision and Setting Fitness Goals! Creating a “big picture” of your future wellness will help you start living life in that direction! Taking baby steps in that direction by creating monthly and weekly goals is an integral part of this process. Okay, so how do you get it right this time? How do you erase the past and forget about quick-fix plans? Well, it all starts with creating a new picture for your future life and creating weekly goals to help move you in the right direction. Focusing on the positive is one of the main points to remember; if you come away with nothing else, remember to focus on the positive. See your positive future and engrave that image into your thoughts! Your journey towards mastering your health and well-being begins with planning the big picture; what we call a Wellness Vision. Here is where you will decide what you see in your future self; what will you be doing differently, what actions will you have put into place, how will you be interacting with the world? This vision statement can be a few sentences or a few paragraphs. A compelling vision will always identify what a person wants, rather than what they don’t want. Think about who you want to be, what results you want to see, what behaviors or activities you will be doing consistently, what makes this important to you, what strengths you will draw from, and what support you have. Write this vision down and then begin to read it over and over again so that you plant this positive seed into your mind. You might be surprised how this seed will sprout and soon you will be living in the direction you wish to go! Print your plan and post it where you can see it every day! Put it on the refrigerator, on your nightstand, in your office, even on the bathroom mirror! Take a few minutes and think about where you see yourself 10 months to 1 year from now. What excites you? What changes will you have made? Who will you be by that time? Write these thoughts down and start constructing your own Wellness Vision! Wellness Vision: I am living life to the fullest! I am going to the gym 4 days a week and take several cardio classes. I also do strength training, which has really helped with my lower back issue. Because I speak up for myself and ask for what I need, I no longer feel as stressed at work, and my daily duties have been reduced. My diet has steadily improved and I am eating more veggies at each meal; I even make sure to bring snack bags of cut up veggies to work every day. Because of these changes, I have lost 10 pounds and am able to fit into a size 8 once again! My determination and stubbornness has helped me get to this point. My husband and coworkers continue to be my biggest supporters and provide me with the motivation to continue on. Life is good! Goal setting is a way that we take baby steps towards our wellness vision. We start with setting a shorter term goal at about the 3 month mark, and then take further steps to reduce it to weekly goals that will get us to that point. When you put all of these pieces together, the weekly goals help you achieve the 3-month goal, and the 3-month goal carries you towards your wellness vision! The goal setting process enables you to set realistic and meaningful outcomes in a timeframe that creates just enough sense of urgency to move you forward. You should feel that these tasks are attainable and not too far out of reach. So what makes up an appropriate goal and how do you set out creating them? Good question! Let’s talk about SMART goals! Goals should have some sort of intrinsic value to you and should be part of your overall “big picture” of your wellness vision. 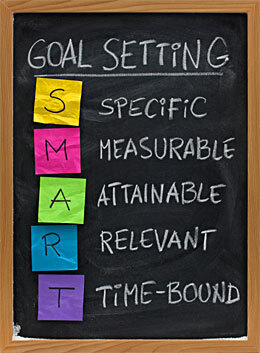 SMART goals can be used for both the 3-month goal setting process, as well as with your weekly goals. Stick with this format to create goals and you will be more likely to achieve them each week. 3-Month Goal: By this time I will be going to the gym twice a week. I will have lost 8 pounds by June. I am walking during my lunch breaks three days a week, and I have less stress while I am at work because of this. Weekly Goal 1: I will call the gym on Tuesday to check on membership prices. I will schedule a time to go in and have a tour. Weekly Goal 2: I will walk for 15 minute on Monday and Thursday during my lunch break in order to start being more active. You may have anywhere from 2-4 weekly goals, and some people even choose to have even more than that. One word of wisdom; don’t bite off more than you can chew. We all get excited about starting something new and making a change, but don’t put too much on the proverbial plate. Chances are, you will just bet setting yourself up for failure. When creating your goals, always keep a confidence scale of 1-10 in mind. Ask yourself how confident and ready you feel to succeed with this goal. If you are lower than a 6, you need to ask yourself why, and either tweak the goal to make it more attainable or ditch it altogether. Remember, you want to improve your self–confidence and self-efficacy throughout this process, not continue to fail, and the only way to do that is to achieve your goals. Keep in mind that while you don’t want to overload yourself with too high expectations, try to create goals that stretch you just a little beyond your current level of comfort. This enables you to feel a much greater sense of achievement when you fulfill your tasks, and it will add to your sense of self-efficacy, which of course is one of the most important points of this whole process! Take a moment to create your 3-month goal and a few weekly goals to get you started. Sit back, take a few deep breaths, and let the process begin. 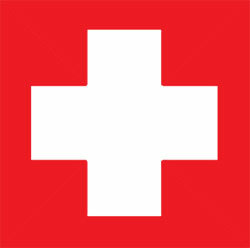 You are now on the path to improved health and wellness, and this time you have the knowledge to make it stick! You can do this!